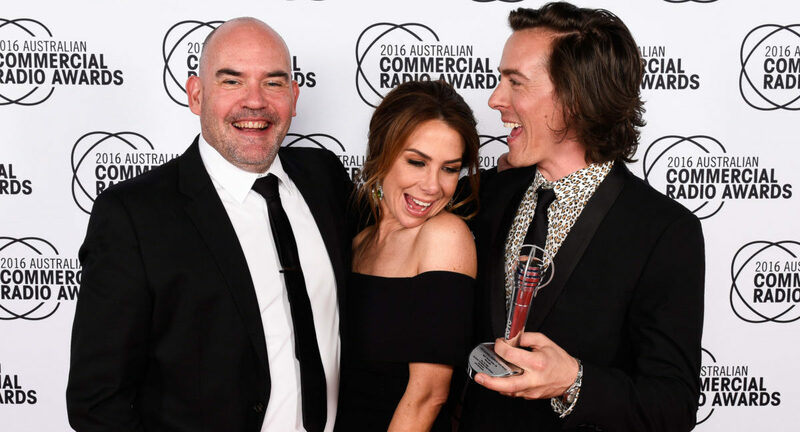 The finalists in the 29th annual Australian Commercial Radio Awards (ACRAs) have been released by Commercial Radio Australia. Last year’s winners in the FM category Kate, Tim and Marty (Kate Ritchie, Tim Blackwell & Marty Sheargold, Nova Entertainment) are amongst the finalists that include five-time winners Kyle Sandilands and Jackie Henderson (The Kyle and Jackie O Show, KIIS 1065, Sydney); three-time winners Hamish Blake and Andy Lee, who have announced they are leaving radio at the end of 2017 (The Hamish & Andy Show, Hit Network); Fifi, Dave, Fev & Byron (Fifi Box, Dave Thornton, Brendan Fevola & Byron Cooke, Fox FM, Melbourne); Chrissie, Sam & Browny (Chrissie Swan, Sam Pang, Jonathan Brown & Dean Thomas, Nova 100, Melbourne) and Hughesy & Kate (Dave Hughes & Kate Langbroek, KIIS Network, ARN). The Metropolitan Best On Air Team AM title will be a contest between last year’s winner, Nights with Steve Price (Steve Price & Andrew Bolt, 2GB, Sydney); The Big Sports Breakfast with Slats & TK (Michael Slater & Terry Kennedy, Sky Sports Radio, Sydney); Breakfast with Steve Mills & Basil Zempilas (6PR, Perth); The Continuous Call Team (Ray Hadley, Bob Fulton, Darryl Brohman, Erin Molan, David Morrow, Mark Riddell, Chris Warren & Mark Levy, 2GB, Sydney NSW, Macquarie Media Limited) and Breakfast with David Penberthy & Will Goodings (FIVEaa, Adelaide, NOVA Entertainment). 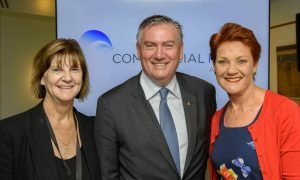 Another highly competitive category is Best Current Affairs Presenter, with five-time winner in the category 3AW’s Neil Mitchell (a total of 19 ACRAs) up against three-time winner in this category 2GB’s Ray Hadley (a total of 26 ACRAs), three-time ACRA winner Ben Fordham and multiple finalist FIVEaa’s Leon Byner. Fordham, Hadley and Mitchell are also competing for Best Talk Presenter up against 3AW’s Tom Elliott. Other major award categories include Best News Presenter FM & AM, Best Sports Presenter and Best Music/Entertainment Presenter, which sees Carrie Bickmore (The Hit Network) up against smoothfm weekend breakfast host Melissa Doyle (smoothfm, Nova Entertainment, Sydney), Nova presenters Tim Blackwell and Kent “Smallzy” Small, plus Gordie Waters (KIIS 1065 Sydney). This year’s metro finalists for Best Newcomer On-Air include Erin Molan, 2GB; Matthew Dyktynski, Mix 94.5 FM, Perth; Isa Guha, Triple M, Sydney and Rebecca Judd from the 3PM Pickup on the KIIS Network. 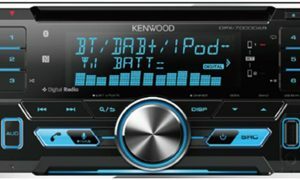 Entries were received from 260 metropolitan and regional radio stations across Australia. Stations outside the metropolitan areas are well represented at the ACRAs with more than 200 finalists from country and provincial stations. This year the gala black-tie event will be held at the Melbourne Convention and Exhibition Centre on Saturday October 14 and will start at 6pm (red carpet 5pm). 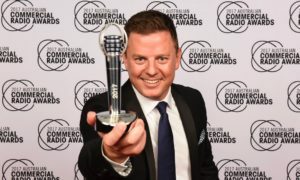 Organised by Commercial Radio Australia, the national Awards cover 33 categories. Winners are announced in each category across four areas: metropolitan, provincial, country and Syndication/Production Company and encompass all areas of commercial radio broadcasting including news, talk, sport, music and entertainment. The ACRAs differ from television’s Logie Awards in that they are peer judged by industry members. The ACRAs follow the Radio Alive 2017 conference, which will be held at the Melbourne Convention and Exhibition Centre on Friday 13 October.